Remember all of my previously bad experiences with bubble tea? Well, today I'm glad to say that the tables have turned. 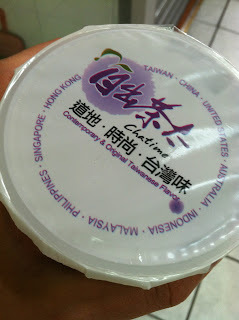 Introducing authentic Taiwanese tea shop Chatime. Everything on their menu is two for one or buy one get one free. So for the same price as less than one tea in Kung-fu tea, you can get two! 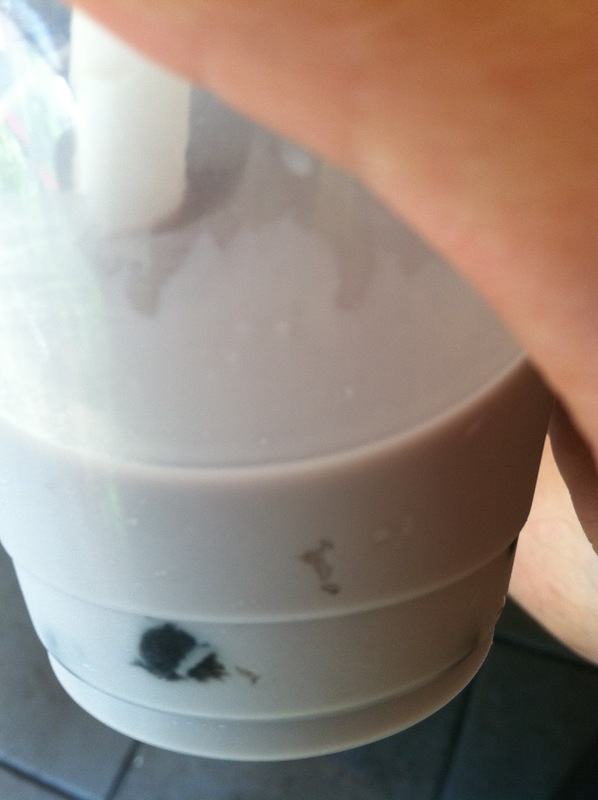 We got the taro with bubbles and taro with sago. Unfortunately you can't mix up the combos. 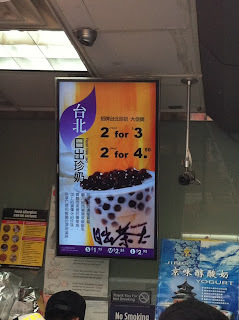 Otherwise I would have tried honeydew milk tea. I couldn't really tell what was the sago, which is supposed to be some type of cereal. But nonetheless the taro flavor was evenly distributed and soaked into the bubbles. The bubbles were soft and chewy, and soaked with enough sweetness as to not cause thirst after you finish it all. Degusting (not to be confused with disgusting) this tea reminded me of the ubiquitous and cheap bubble tea shops in Taiwan. Flavour really hits home without making a dent in your pocket.